Our coaching team has over 20 years of combined experience. Both funny and knowledgeable, you will like them in no time! 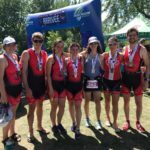 Our mission at the McGill Triathlon Club (MTC) is to promote a healthy lifestyle, team spirit and the participation in multisport events at McGill University, as well as at the local, national, and international level, through a professionally designed and coached program. 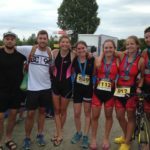 The McGill Triathlon Club is a group of ambitious, athletic individuals of all ages and backgrounds. 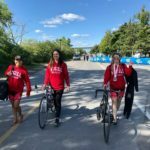 The McGill Triathlon Club recognizes and supports a positive diversity of abilities, classes, cultures, sizes, ages, gender expression and sexual orientation. 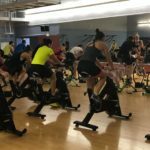 The club is open to the community at large in addition to servicing McGill students, staff and alumni. 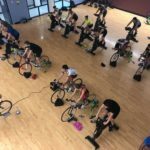 We are elite, amateur and recreational athletes who share a common goal: having fun while improving physical fitness, performance and endurance. 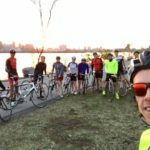 The McGill Triathlon Club is managed by a volunteer Council and follows a Constitution. 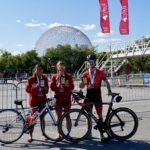 The McGill Triathlon Club has certified coaches for all three sports: swimming, cycling and running. 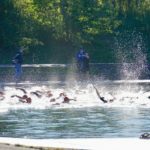 The Fall/ Winter/ Summer training structure is provided on the Schedule page. 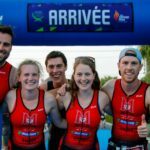 Feel free to contact us @ mcgilltriathlon@gmail.com with any questions and check us out on Facebook!